This topic contains 1 reply, has 2 voices, and was last updated by admin 8 months ago. Hello, i’m trying your plugin and bought the 2$ for testing because I really need this funciontionality. 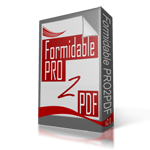 I have already configured and mapped the PDF with the plugin but when I fill in the form, the PDF converted is empty and I don’t get attach any PDF on my email. The thing is that with the demo, I also don’t get attach the pdf on the email and the converted file is corrupted. Please complete this form to provide permission to access to your site.